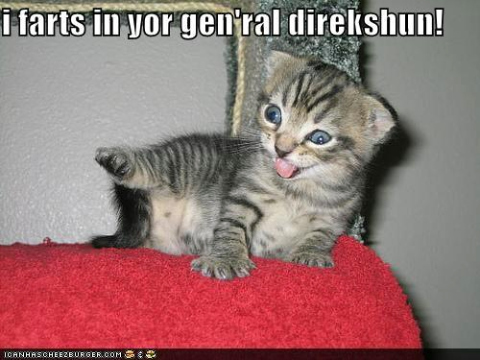 To Be Calimquim » Blog Archive » Moar LOLcats! 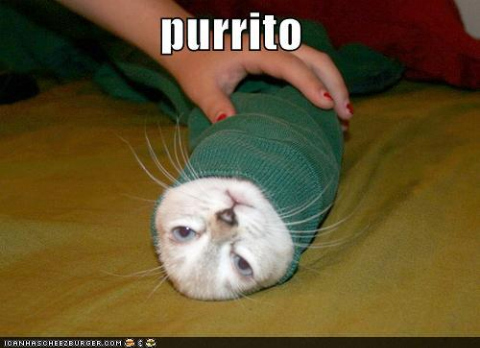 That burrito kitty doesn’t look too comfortable, but he does look delicious! That one must have really been a doozy, since farting kitty has a face only a mother could love. 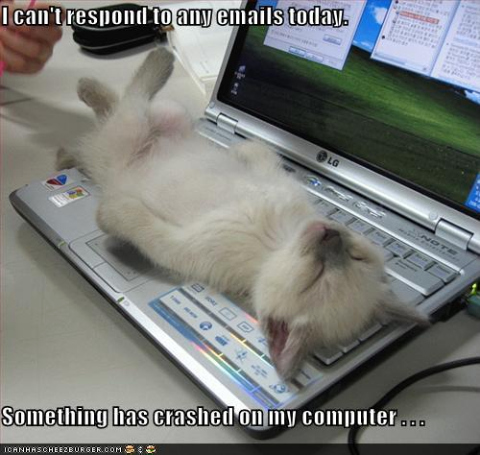 That sleeping kitty looks comfortable — maybe I should try that on my human’s MacBook Pro! 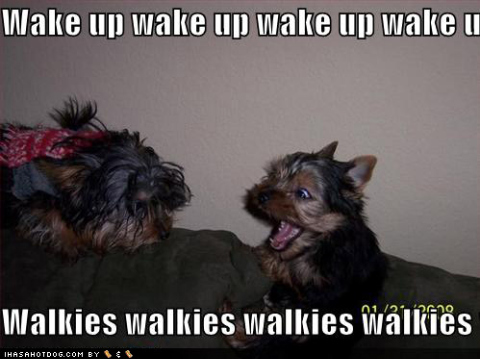 Been there, done that — you just can’t get enough walks nowadays. It seems humans are too tired and like to sleep all day. 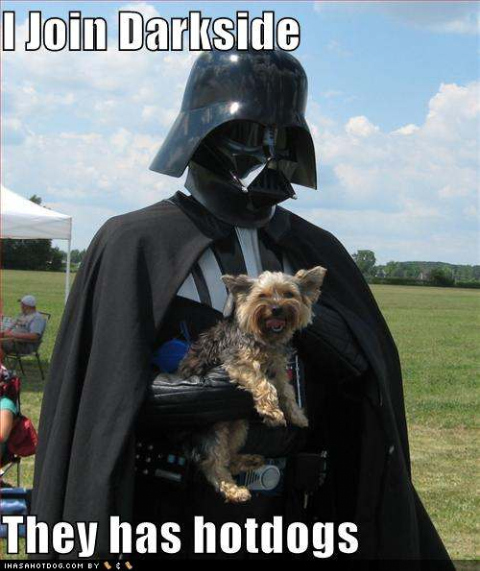 Can I join the Darkside to get some free hotdogs? I hope that guy dressed in black is friendly. Hey, these are some funny ones! 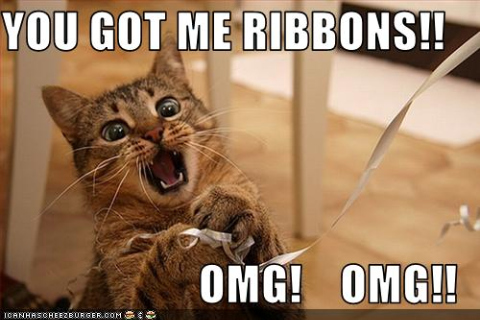 Why is does it take so long to post more of these LOLcats? Moar, please!